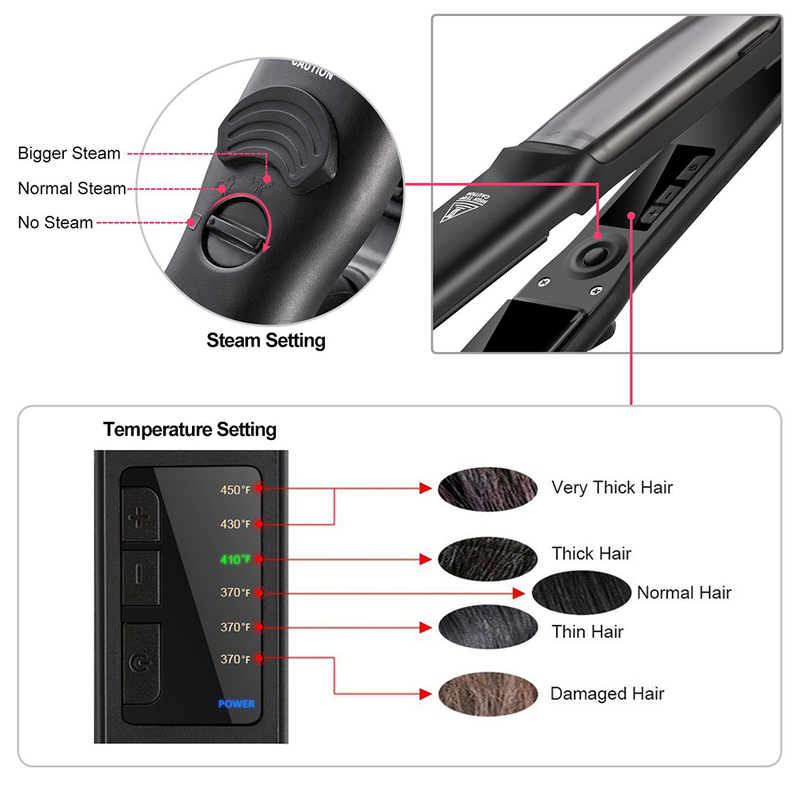 This product is a professional hair straightener.Rapid build shiny straight hair modelling for you,heating up to 100° just needs about 20 seconds.it has uniform heating technology for straightener hair. 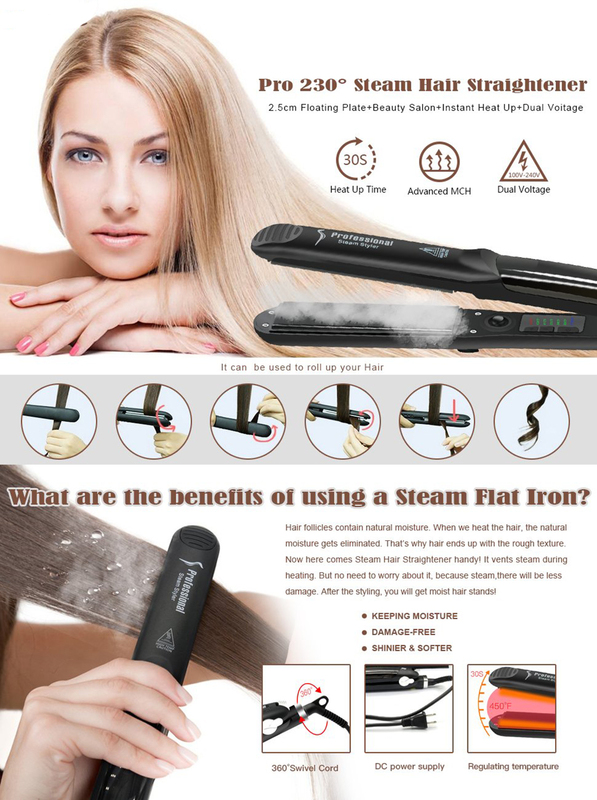 Enjoy a polished salon finish at home with this professional-quality flat iron. Designed with 1-inch ceramic plates, the iron achieves high, consistent heat that reduces frizz and damage as it straightens your hair. 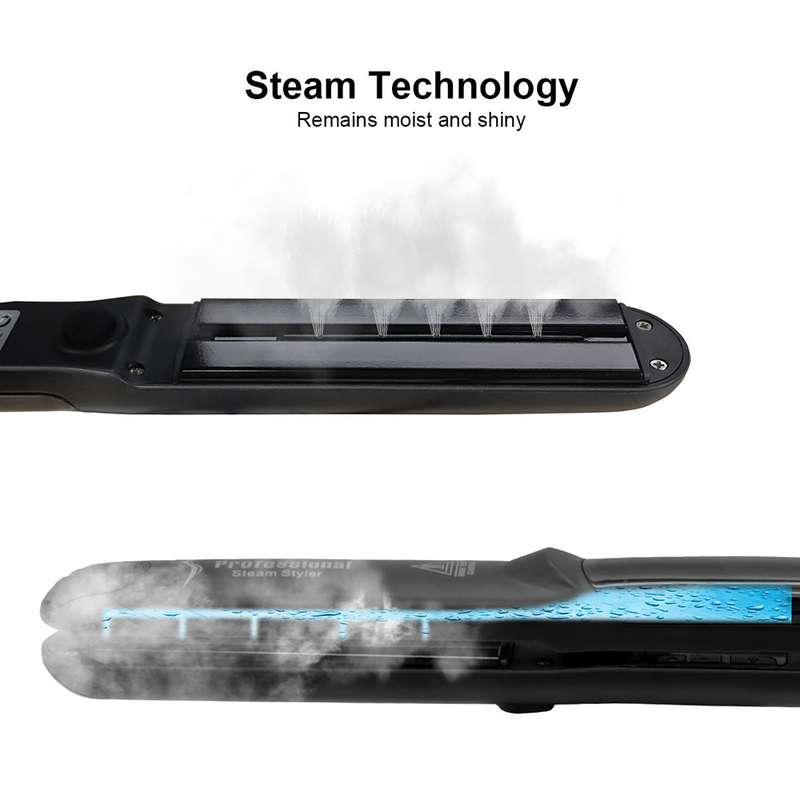 Applying steam technology, with argan oil or water put into the tank on the flat iron, the hair can be protected well during hair straightening. 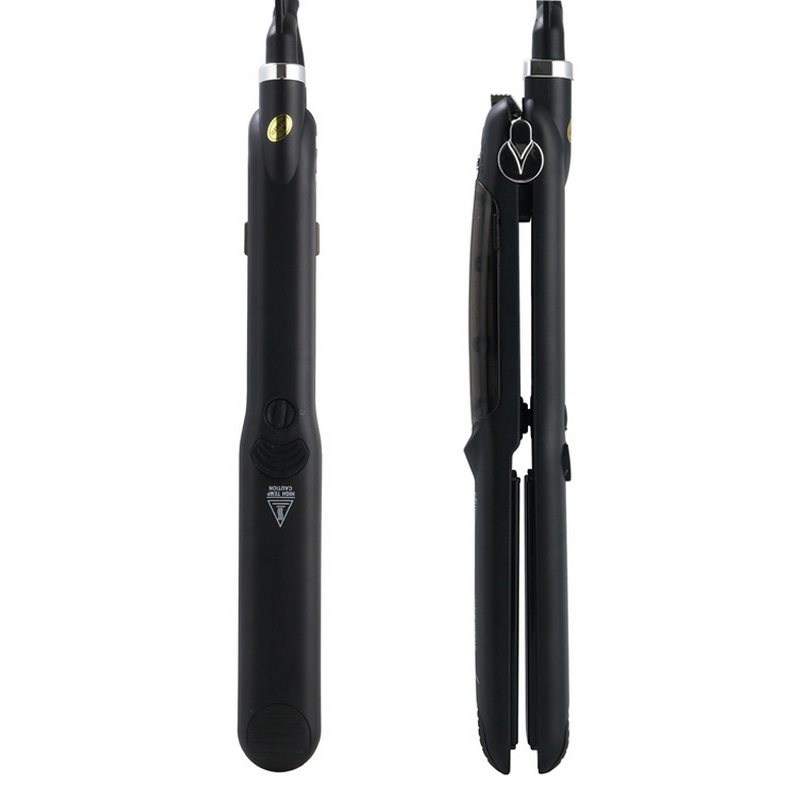 High-grade tourmaline ceramic plates for a snag-free glide and more even heating than traditional flat iron straighteners. The floating plate design ensures your hair stays in contact with the heat, resulting in faster styling and smooth, healthy hair. A salon-length swivel cord offers greater styling flexibility. Monitor the flat iron's temperature on the easy-to-read LED display. 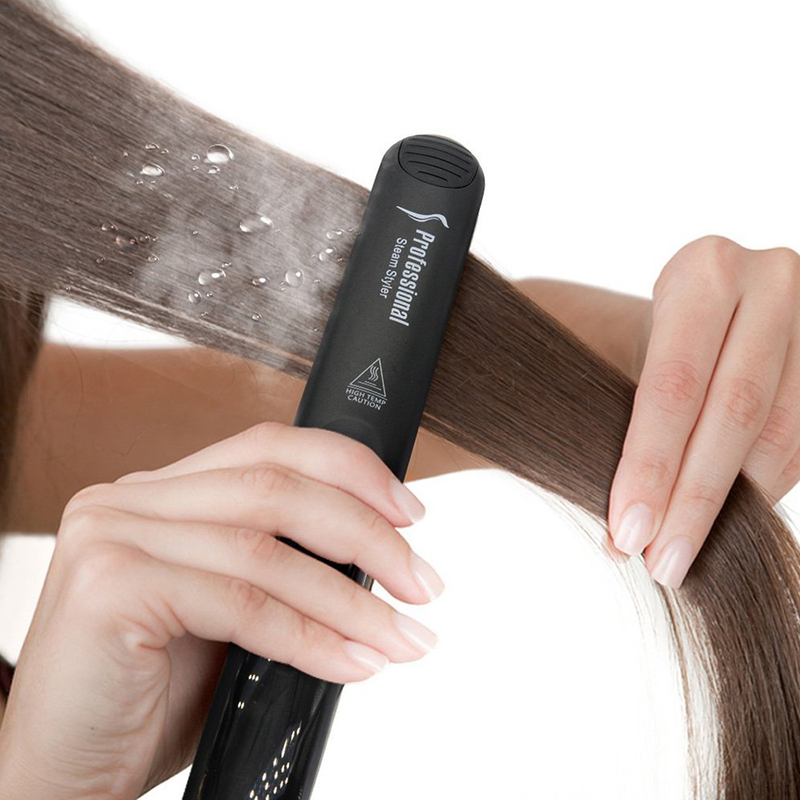 Straighten your hair with heat up to 450 degrees Fahrenheit. Simple two-button controls allow you to increase and decrease the heat to your desired level. Temperature lock mode prevents overheating and keeps the setting secure as you style. For very fine, fragile, damaged hair, use 300-375°F. 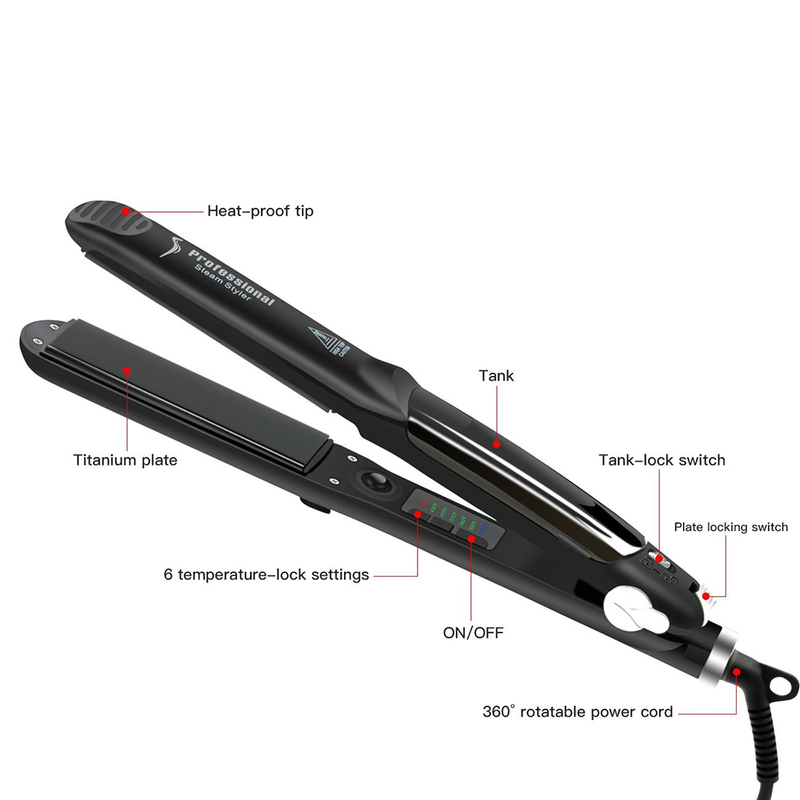 For normal, easy to straighten hair, use 375-410°F. And for thick, difficult to straighten hair, use 410-450 °F. With a quick heat-up, you'll be ready to style in no time. A hinge lock allows you to keep the iron in a locked position for easier storage. 2. Press the “POWER” button to switch on the device. 3. Temperature control: press “+” button to increase the plate heating level, every single press the temp climbs one level. Press the “-” button to decrease the plate heating level, every single press the temp goes down one level. 4. Again press the “POWER” button to switch off the device. 5. Automatically safety shut-off after one hour without any operations, then the blue POWER status light is on. 6. The heating indicating light: when plug the device, the LED flashes from level-1 to level-6. The LED light stops flashing when certain heating intensity is chosen. 7. The steam control button is at the bottom side of the device, you can use this button to adjust the dose of steam spraying. 1. Please hold the device rightly, do not touch the heating plates when using for your safety concern. 2. 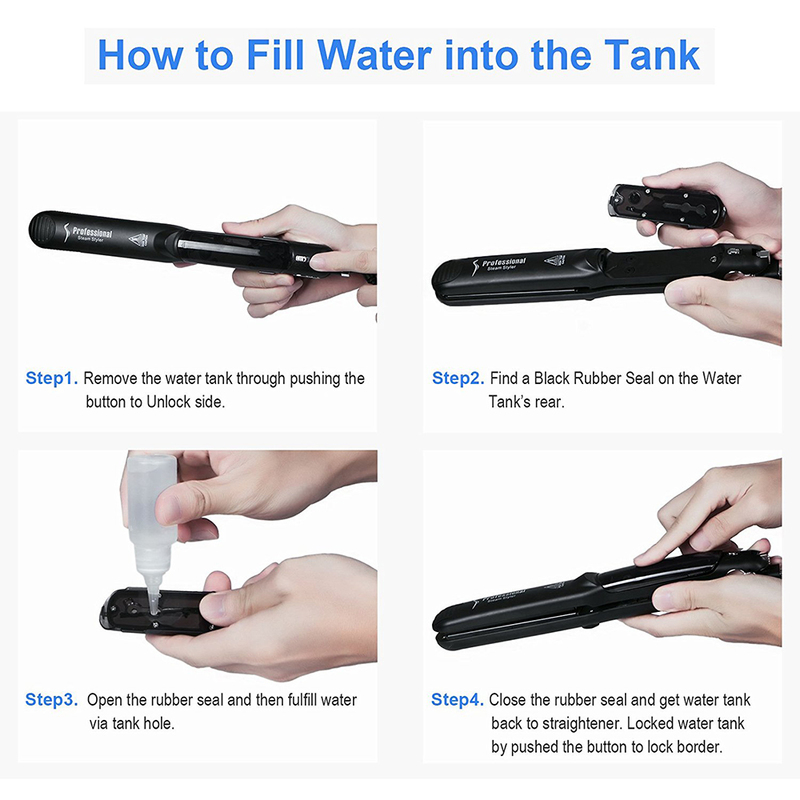 Please fill the water chamber with pure water and switch steam spraying button on, then fold up and down the plates for 5--6 times then steam will start spraying. 3. Put a pinch of hair between the two plates, press the two plates to clench, then gently and slowly to straighten or curve your hair. 4. Please remember to switch off and unplug the device. Let the heating plates cool down before put it away. 2．Do not clean this device with water. 3．Flammable materials are forbidden to contact the hot plates when using. 4．Let the device’ plates cool down before putting it away. 5．Children are forbidden to use this device. If you need Australia Plug, we will send you an extra adapter.